These skyscrapers, homes and city concepts eschew typical architectural silhouettes, taking inspiration from cliffs, mountains and hills to create artificial landscape features of their own. Whether attempting to blend into the surrounding landscape or rising defiantly from the flattest of environments, they seek a sense of harmony with the natural world. 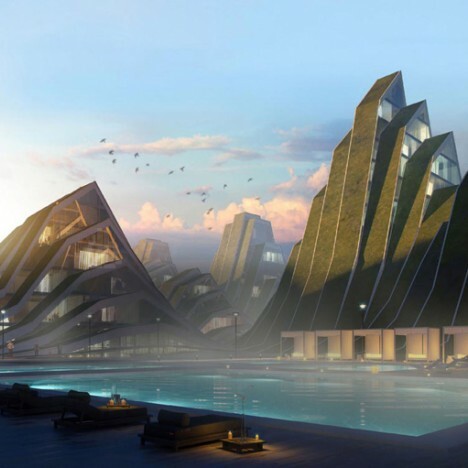 The Bjarke Ingels Group (BIG) is behind the vast majority of recent terrain-inspired architectural concepts, including this stunner commissioned by a Taipei developer. 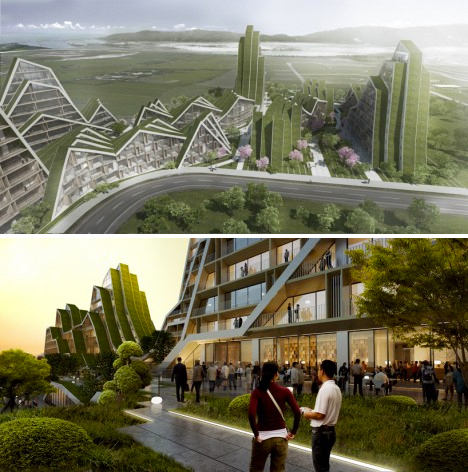 The mixed-use complex of housing, restaurants, cafes, pedestrian walkways, gardens and more features unparalleled vertical accessibility with walkable green roofs. 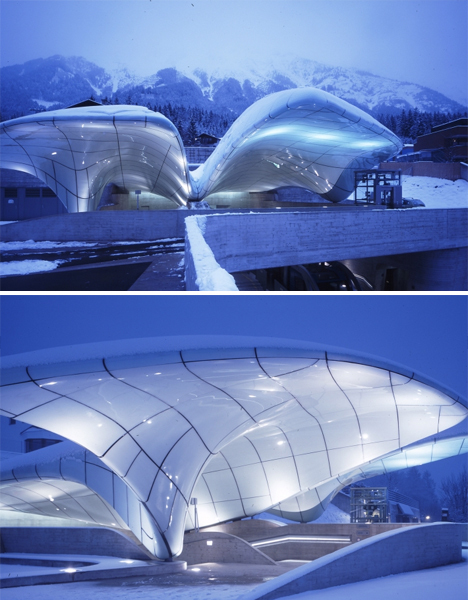 Architect Zaha Hadid wanted her glacier-inspired design for the Hungerburg Train Station in Innsbruck to merge with its snow-covered surroundings in winter. The structure contrasts heavy concrete with light, airy, amorphous glass overhangs that seem to float. 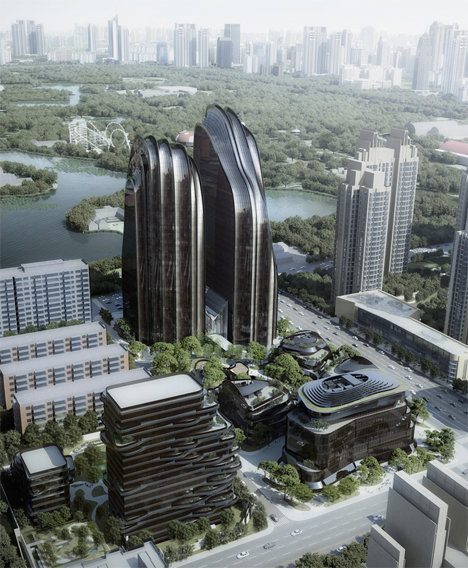 Gleaming like polished black basalt, the towering structures that make up MAD Architects’ Chaoyang Park Plaza explore the relationship between architecture and the natural landscape. The silhouettes are an interpretation of mountains and other shapes in classical Chinese paintings. 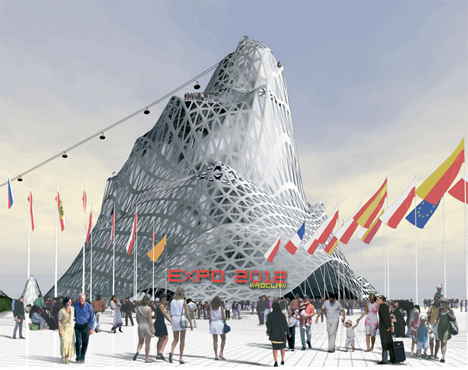 Guallart Architects designed this mountain-inspired structure to represent Wroclaw, Poland in the race to host the 2012 Olympic Games. The skyline of Berlin would be dramatically altered if this wild vision by Jakob Tigges ever came to be. 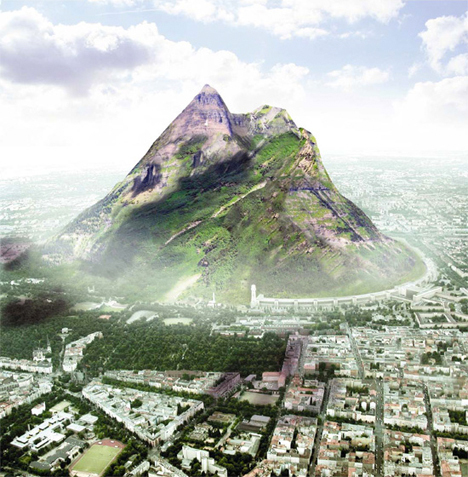 The Berg is a 1,000-meter mountain partially bounded by the Tempelhof Airport. 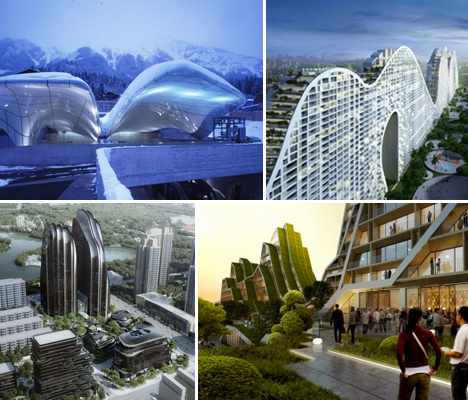 While Tigges says the proposal is more symbolic than a serious idea, it’s meant to provoke thought about how architecture can be integrated with the land to provide natural habitats for wildlife and recreation space as well as places to live, shop and work.